Yesterday I got a droid 2. Today, Ken, the RootKing, told me to put antivirus on it. 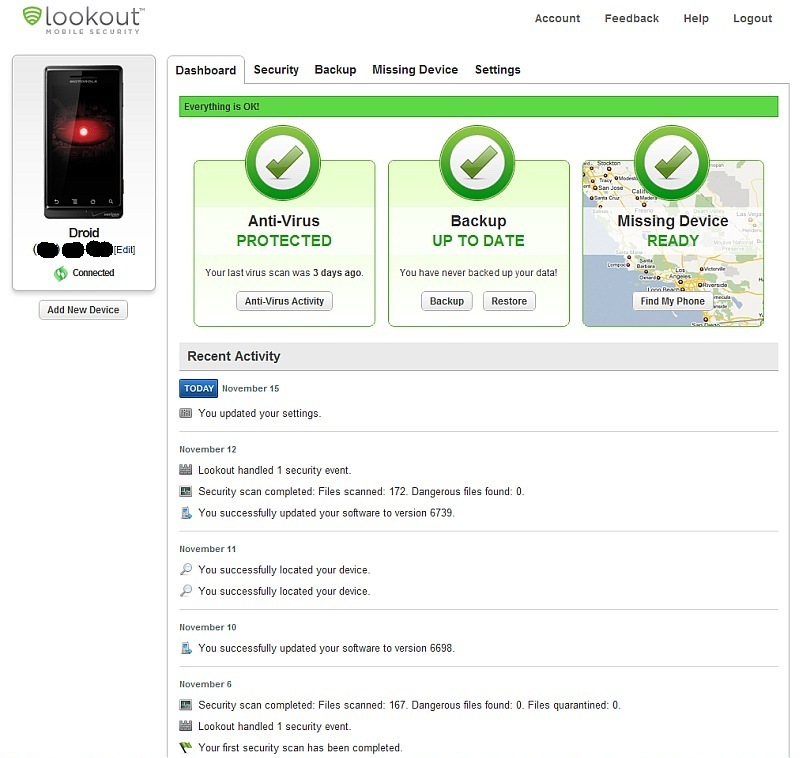 I put Lookout Mobile Security on it at Ken’s suggestion. As my Apple buddy, Chris, often tells me, open systems have their problems, not the least of which is susceptibility to viruses. 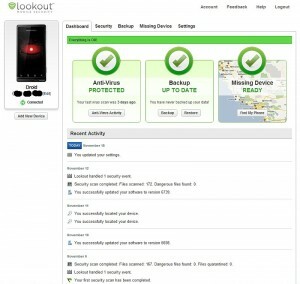 Lookout is more than an antivirus app. It helps you locate your droid if it’s lost. It makes your droid make a loud noise. And it backs up your data. Click the image for a larger rendering. 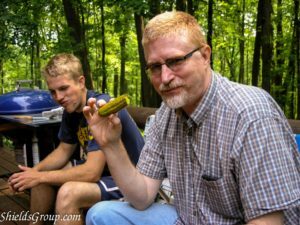 This entry was posted on Friday, November 5th, 2010 at 9:33 am	and is filed under droid, General Tech. You can follow any responses to this entry through the RSS 2.0 feed. Both comments and pings are currently closed. I put Lookout on mine as well. the only thing it claims to contacts, but it doesn’t backup my full list of contacts. That doesn’t bother me as that isn’t the reason I got it. I manually backup up my full contact list every time I change it.